RubyEncoder has just entered beta! We're really pleased to have reached this milestone and I know that those of you who have been asking for it will be pleased :) If you have joined the beta program you will be receiving an email in the next couple of days with a download link and information on how to submit bugs or suggestions. 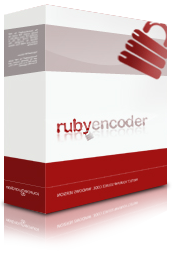 Welcome to the new Ruby Encoder site - and blog! We're excited to be working on the first version and will let you know when it's available for beta. To date, we've spent six months working on it and have a version that we're happy with. We're running in a couple of live environments and everything appears to be holding out. If anyone wants to get onto the beta program let either myself or Alex know.